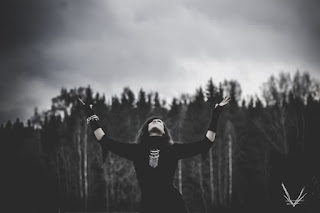 Vermilia is a solo artist from Finland that plays a very epic and pagan form of black metal and this is a review of the 3 singles she has self released so far. Drum beats along with some heavy riffing starts off the song while all of the musical instruments have a very powerful sound to them along with some 90's era dark metal elements and after awhile clean vocals start to make their presence known as well as utilizing some grim black metal screams at times. The track is 6 minutes in length while melodies can also be heard in the guitar riffing and when the music speeds up a great amount of tremolo picking and blast beats can be heard which also gives the music more of a raw feeling and when guitar leads are utilized they are done in a very melodic fashion. A very fast and raw sound starts off the song along with a great amount of tremolo picking and blast beats while the solos and leads are done in a very melodic fashion along with the vocals being mostly grim black metal screams as well as some clean singing also being used at times and the track also brings in a great mixture of slow, mid paced and fast parts and you can also hear a decent amount of melody in the riffing. A very fast and raw sound starts off the tracks along with a great amount of tremolo picking and blast beats while all of the musical instruments have a very powerful sound to them as well as the vocals being a mixture of black metal screams and clean vocals, melodies can also be heard in the guitar riffing and the track also brings in a great mixture of slow, mid paced and fast parts, when guitar solos and leads are utilized they are done in a very melodic fashion. Vermilia plays a style of pagan black metal on these tracks that is very epic and atmospheric sounding, the production sounds very professional for being a self released recording while the lyrics are written in Finish and cover Paganism themes. 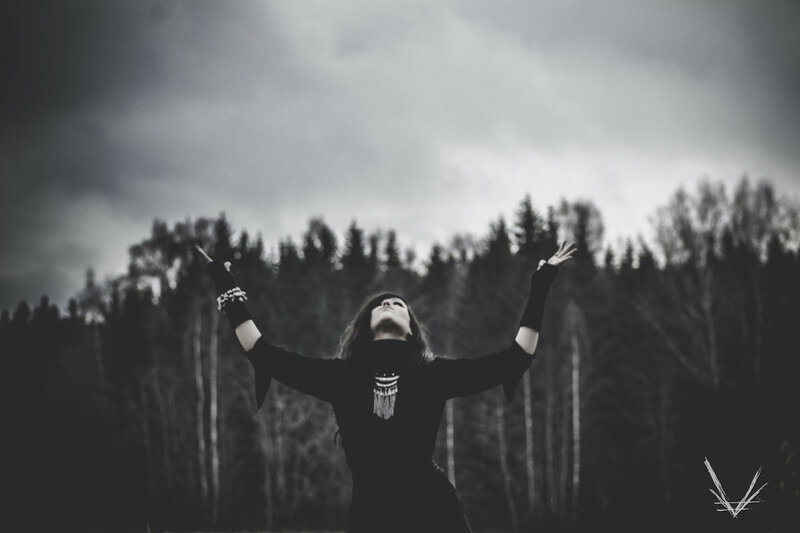 In my opinion Vermilia is a very great sounding atmospheric pagan/black metal solos artist and if you are a fan of this musical genre, you should check out her music. 8 out of 10.